My daughters each wanted a quilt for their new white bunk beds. Since the quilts were identical (except for the name on the back) I am only showing one. 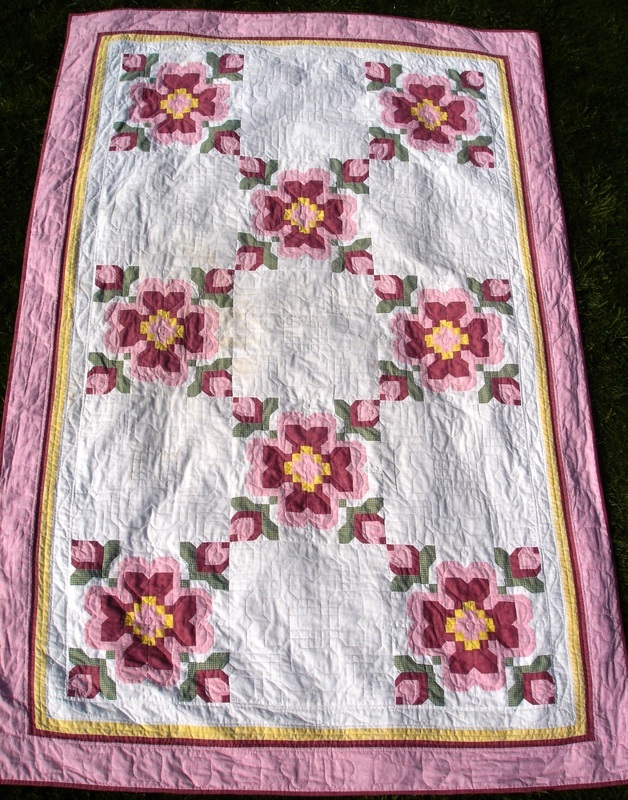 These were hand quilted, the stitches in the plain blocks were the same pattern as the coloured blocks. I thought myself very clever as the materials were in the sale bin at Walmart, for a dollar and two dollars a yard. These quilts looked very sweet, and even now that the girls are mostly grown and the colours are more mellow, they still love these quilts.